Your Realtor For Life. Welcome Home. Coyote Ridge, home to the Home Builders Association HomeShowExpo and your next home! 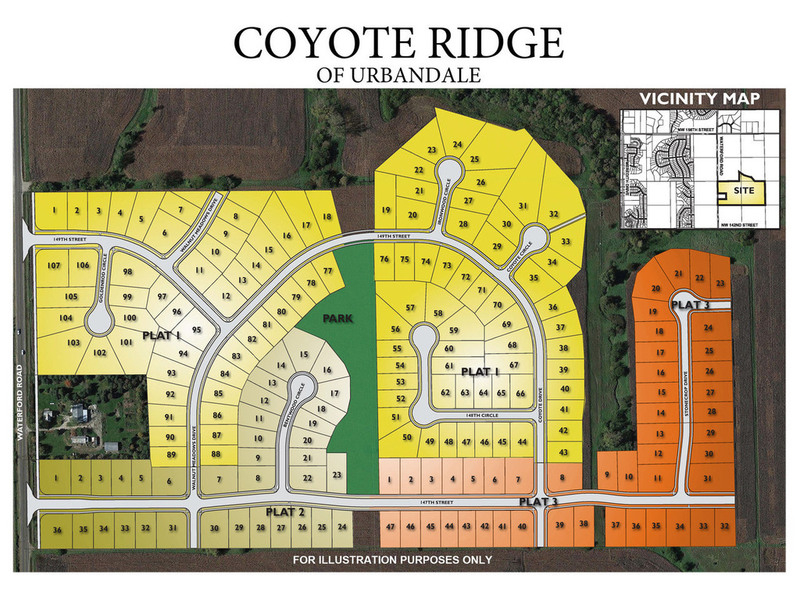 This hot new Urbandale development offers walkout, daylight, and flat lots with a range of 0.201—0.75 Acres. Located in Waukee School District and easy access to Highway 141 and I35/80. Bring your own builder or use ours! Take NW 142nd to Waterford Rd and then go west 7 blocks to development, development on north side. $398 would be your approximate monthly principal and interest payment. This payment is based on a 30-year loan at a fixed rate of 3.63 % with a down payment of $9,690. Actual lender interest rates and loan programs may vary.